J. Scott Coatsworth has one of the most active websites and Facebook groups promoting, talking about and advancing queer speculative fiction. 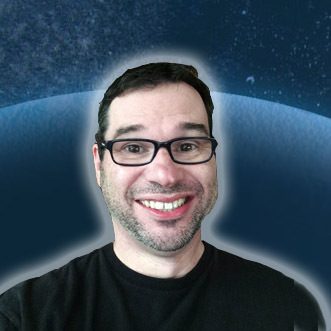 He hosts discussions on everything from faster than light travel to ‘how-to’ posts to help new writers – and he hosts these discussions daily. When I say ‘active’, I am not joking! 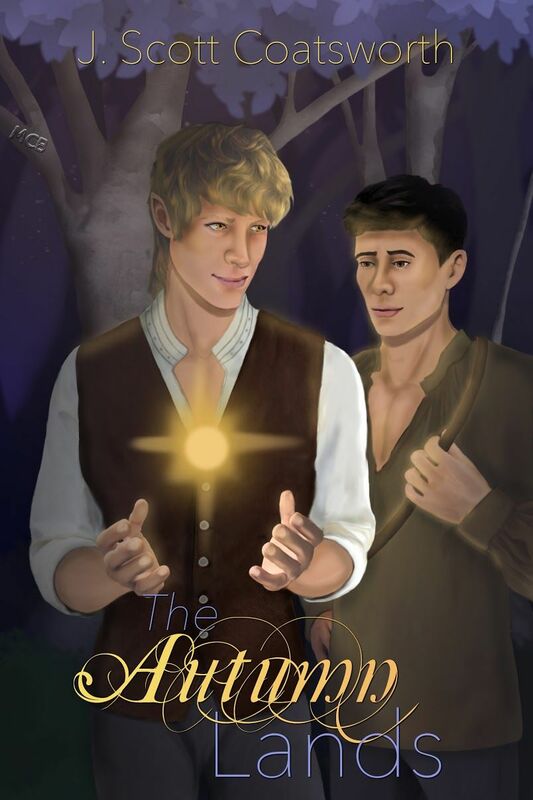 So I’m very pleased to welcome Scott here today, for once not to promote someone else’s book or start us thinking about what form alien life may take, but to tell us about his own new release, The Autumn Lands, published last week by Mischief Corner Books. But I never do anything easy. I could have written a happy little contemporary piece about a love that blossoms amidst the autumn leaves. Or a straightforward metaphor about a man entering the autumn of his life. But I like things that twist and turn. Stories that confound expectations. So instead I wrote The Autumn Lands, a story that’s a hybrid of a bunch of different things. This story has roots in a lot of other stories—including Peter Hamilton’s Commonwealth series, a story of my own that I wrote and have yet to publish, and Terry Brooks’ Sword of Shannara series. And yet it’s none of these. I strived to create a world all of its own, with its own internal logic—where it’s always fall. It’s also my longest work to date, and my first stand-alone printed work. If I did my work right, it will take you somewhere unexpected. Jerrith is running. Kissed by an elf, he can’t remain in his hometown of Althos any more. Not that he wanted to stay. Caspian still hasn’t figured out why he kissed Jerrith, but he’s running too. Since he was exiled from the Autumn Lands, his past has been hazy, and his future uncertain. Jerrith Ladner ran down Dyer’s Alley in Althos, winded but not daring to stop. He swung left down Chaplain’s Lane where the lanterns cast a crazy patchwork of light across cobbles, uneven enough to give even the Night Guard pause. His lungs hurt, but he didn’t slow down and didn’t dare glance back. The glimpse of the Autumn Lands through the Nevris man’s golden eyes. Tall and slender where Jerrith was stocky and muscled, he was a young man, more or less Jerrith’s own age. His blond hair had been pulled back behind his pointed ears, the mark of the Nevris. He moved with a quiet and restrained grace. His eyes were wide and golden, and they’d met his as Jerrith crossed the town square on the way to ‘prentice to the blacksmith. The man’s gaze had filled Jerrith with something hot and impulsive, a sense of anticipation. Something that he had no name for. Sent home at last well after nightfall, he’d heard a whispered voice from the dark alleyway between the Alchemist’s shop and the Rutting Crow. Jerrith had looked around to see if anyone was watching, then slipped into the alley, his heart beating faster and the bulge in his pants stiffening. The man had kissed him hard and rough, and he’d returned the kiss passionately as the Nevris man pulled him close. Scott has been writing since elementary school, when he won a University of Arizona writing contest in 4th grade for his first sci fi story (with illustrations!). He finished his first novel in his mid twenties, but after seeing it rejected by ten publishers, he gave up on writing for a while.